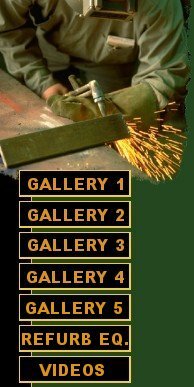 PLEASE TAKE A FEW MOMENTS AND LOOK AROUND, VIEW THE GALLERIES OF OUR WORK AND OUR EQUIPMENT VIDEOS TO SEE HOW WE CAN HELP YOU SUCCESSFULLY BRING IN YOUR NEXT PROJECT. © 2005 Zimm's Industrial Repair. All rights reserved.